Phoenix, AZ — Every company undergoes growing pains as it evolves and s owners achieve success through comprehensive business consulting. The firm’s team of professionals helps companies manage and reduce costs, operate more efficiently, and increase profits. 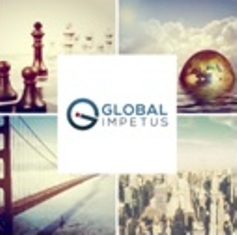 Global Impetus works with start-ups and established companies of any size around the world. Spanish-speaking experts are available to accommodate client requirements and solutions for a single business need or full internationalization services. The firm specializes in organizational development, conducting an in-depth analysis to identify existing areas where improvement can be implemented, impediments to productivity, and areas of future concern. Business consulting and organizational development encompasses multiple facets, from creating a viable business plan and eliminating debt to facilitating personnel changes and launching new products and services. Global Impetus helps business owners identify target markets, create strategic alliances and establish distribution channels, along with improved brand recognition, leadership and motivational training. Two major factors in company profitability are customer and employee satisfaction, an area many business owners don’t consider. Global Impetus performs surveys and interviews to remedy problems with employees, customers, and improve communication. Global Impetus experts have the knowledge, experience and resources to dissect complex situations that clients may view as insurmountable and separate them into manageable elements that can be reassembled into a beneficial and effective solution. The firm focuses on identifying and alleviating problems across multiple platforms to reduce costs and improve efficiency for greater overall profitability. The business consulting, organizational development and internationalization services offered by Global Impetus provide businesses of any size with a competitive edge to operate more efficiently in multiple sectors. Business owners can apply for a one time free consultation to discover how the firm can assist. The performance strategists assist businesses at all stages to help them achieve maximum results. For more information, contact Maria Molina by phone at +1-602-324-7471, via email at info@globalimpetus.com or by visiting Global Impetus online.